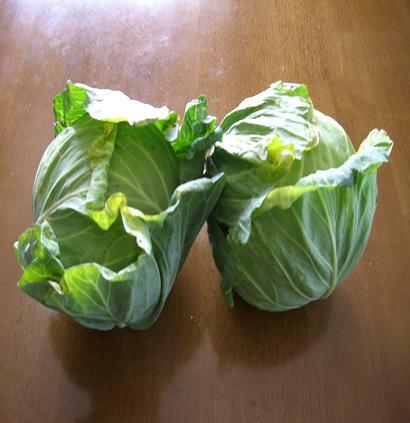 My father in-law's sister,my aunt-in-law brought five heads of cabbages to us a week ago. Her son is a farmer and she sometimes gives her relatives vegetables which look bad and don't sell. Whenever she comes to our house, somebody in her family drives her, and she enjoys talking with my mother-in-law. She lost her husband seven years ago.